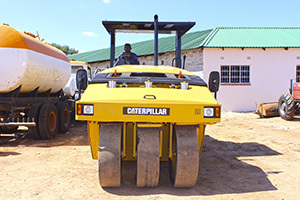 SAFRICAS (Z) LTD is one of the leaders in the construction market. It provides clients with reliable solutions to their most complex construction challenges. Today, the company is recognized as a leader in the industry for its strength in traditional construction methods and for its creative, fresh approach to cutting-edge technologies and delivery systems like mass housing technology. Its expertise spans the construction industry spectrum. From smaller renovations to multi-million dollar projects, no job is too big or too small for SAFRICAS (Z) Ltd. Its team of construction professionals offers a single-source solution for all of construction-related needs. Whether it be restoration, site preparation, new facility construction, or facility renovation, they have the experience and personnel to provide the highest quality construction on schedule and within budget. They support their clients from project inception to the commissioning of the fully operational facility. In association with its sister company SAFRICAS Congo, SAFRICAS (Z) Ltd has constructed a multitude of highway bridges and has experience dealing with associated challenges that are often encountered, such as working in an urban setting on an active highway, strict traffic management requirements, constricted work and staging areas, working adjacent to settlement-sensitive existing structures and environmental and fisheries sensitivity. 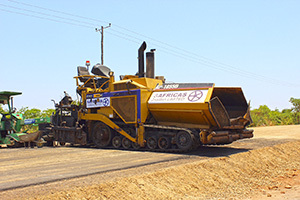 SAFRICAS (Z) Ltd was awarded a Road Development Agency Zambia Link 8,000 Project major Road Contract in April 2013 to upgrade 60km of gravel road to bituminous standard in the Lusaka Province. The new road will connect Ngwerere to Chongwe via the Kasisi Mission. Since beginning the project, the upgrading of the Chaminuka road and the construction of 3 new bridges have been added to the Contract, taking the total distance of the new road up to 80Km. 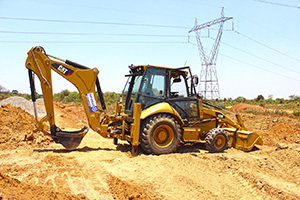 SAFRICAS Zambia has fully implemented the Zambian Government’s Policy of Sub-contracting 20% of the works to Zambian Contractors. It is expected that the project will complete in mid-2015.